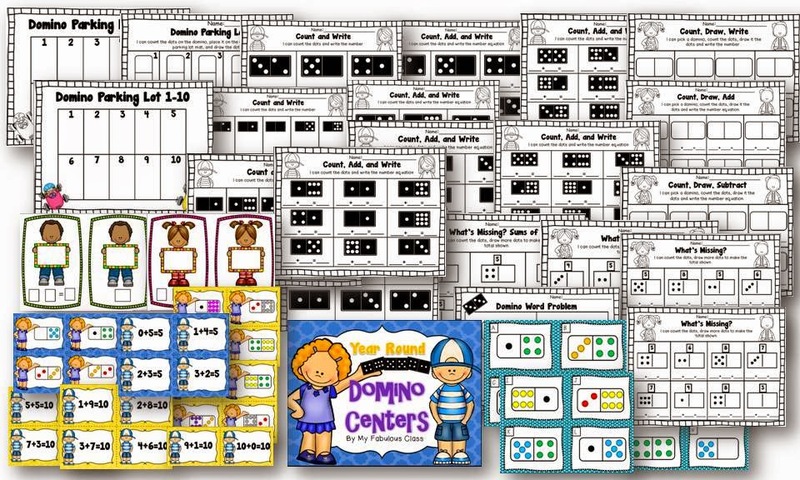 Thank you to everyone who participated in my Pin It to Win It game. Congratulations, Gina. I just emailed you. Tomorrow is the day people. 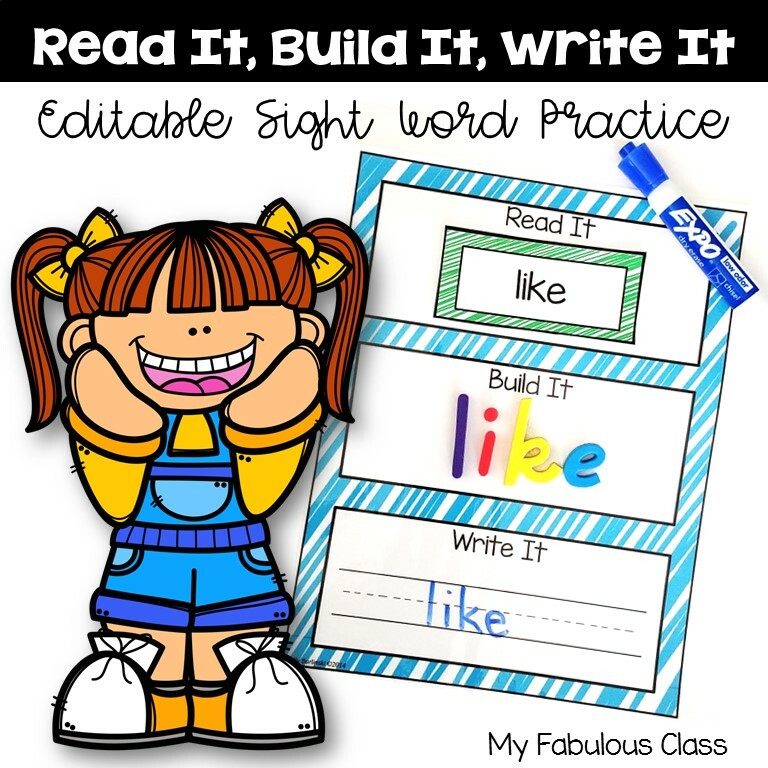 The day I finally get back in my classroom. 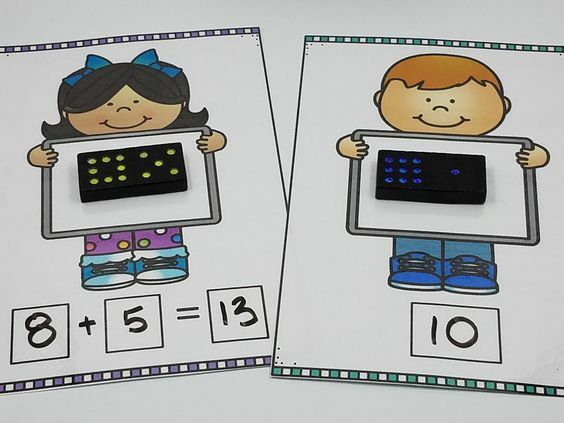 Teachers taught summer school in my classroom. I locked EVERYTHING in my closet. I hope that I can get everything organized that way I had it before! Maybe it will be better then before. 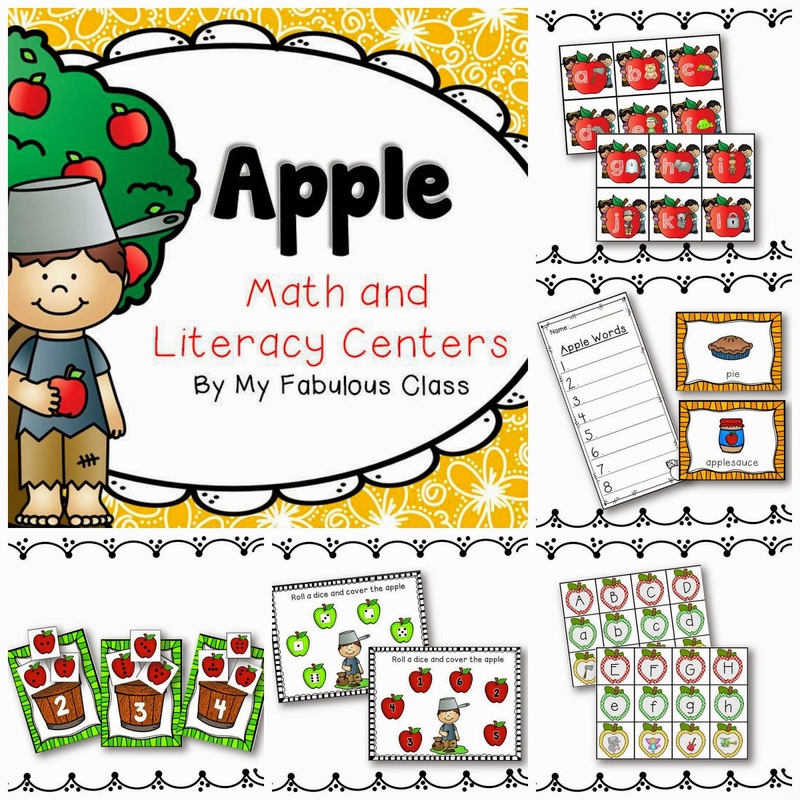 I just finished updating one of my first projects - Apple Math and Literacy Centers for Kindergarten. 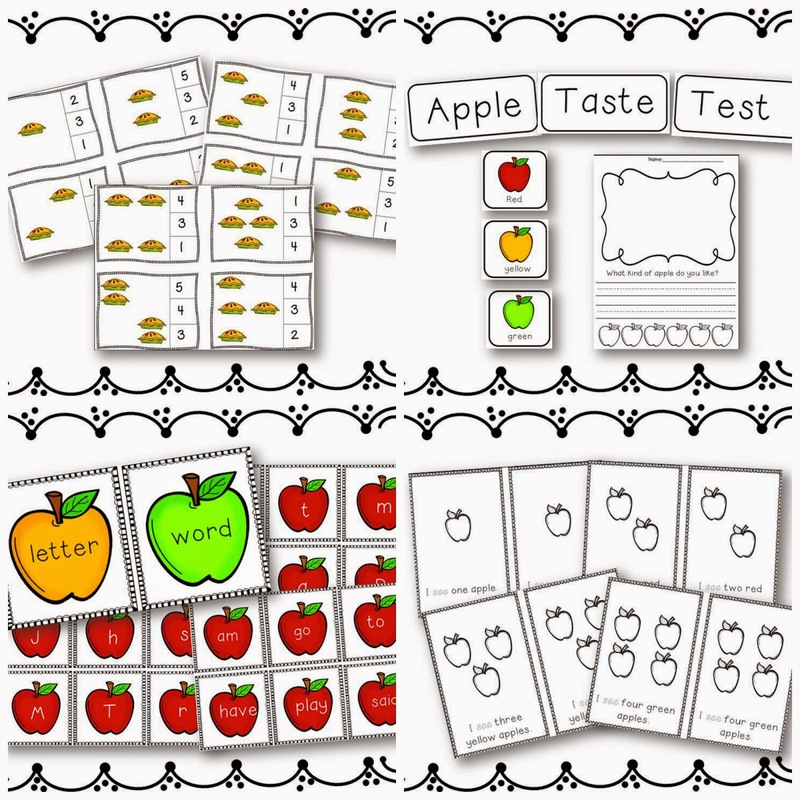 I added new games, updated the clip art, and of course, updated the fonts. There are now 12 activities. I LOVE how it came out. 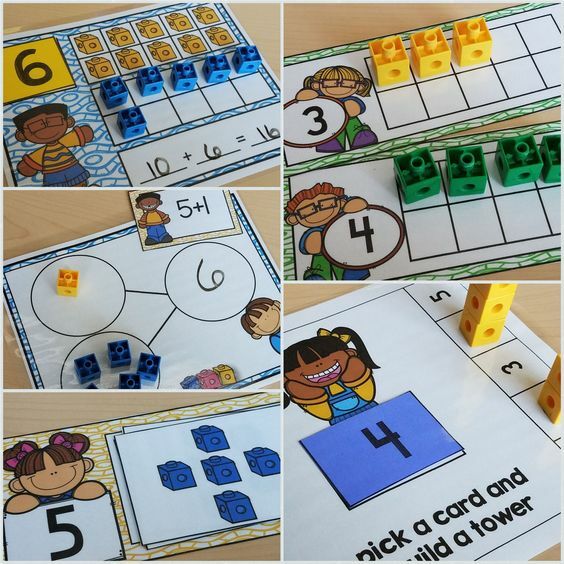 I can't wait to teach this in September. You can win it tonight on my Facebook Page. To win it, you just need to like my facebook page, leave a comment under the picture and tag a friend. I will pick a winner tonight. 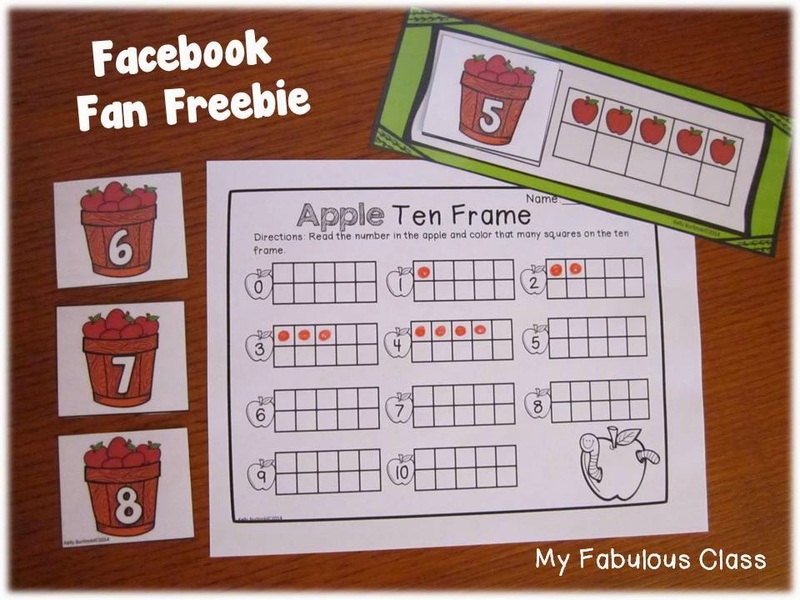 While you are on my Facebook page, pick up this apple Ten Frame freebie. 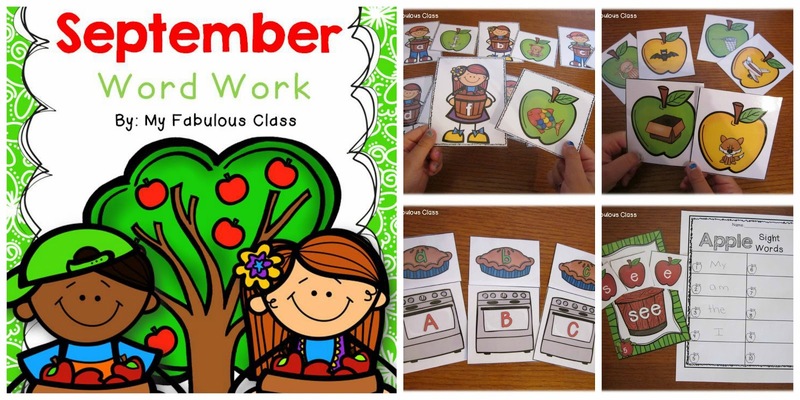 Since we are talking about apples, don't forget about my September Word Work centers. Have you heard about what is happening tomorrow???? 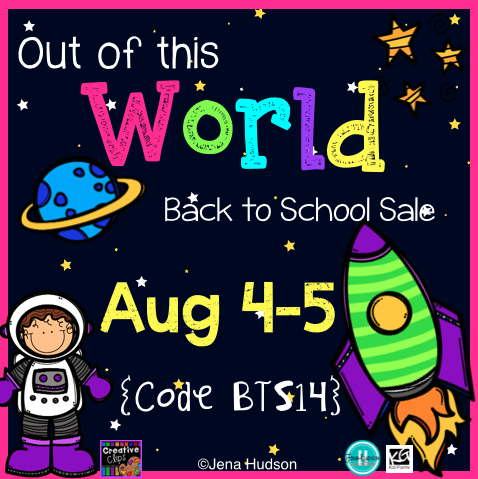 It is time for TPT's Back to School Sale. My entire is store is 20% off for Monday and Tuesday. But it gets better. 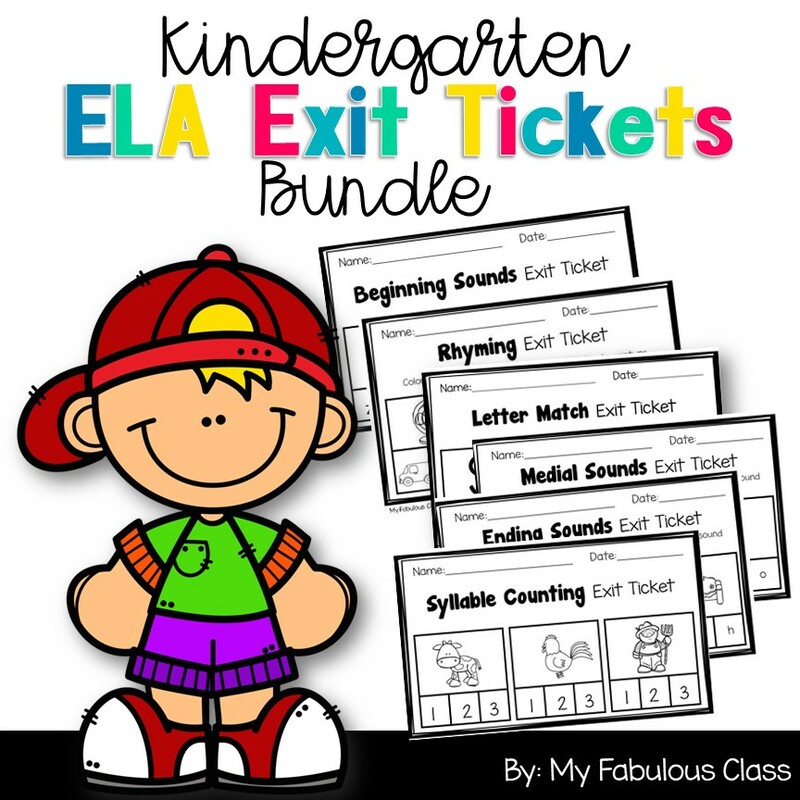 Add the promo code BTS14 and you will get an additional 11%.....for a total of 28% off! 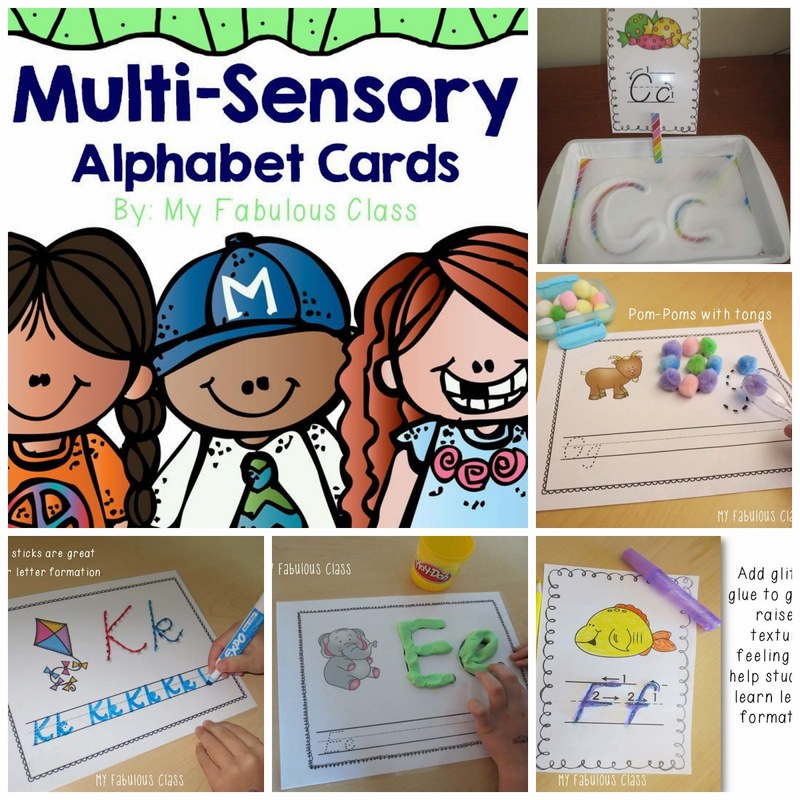 Are you looking for Back to School products for Kindergarten??? 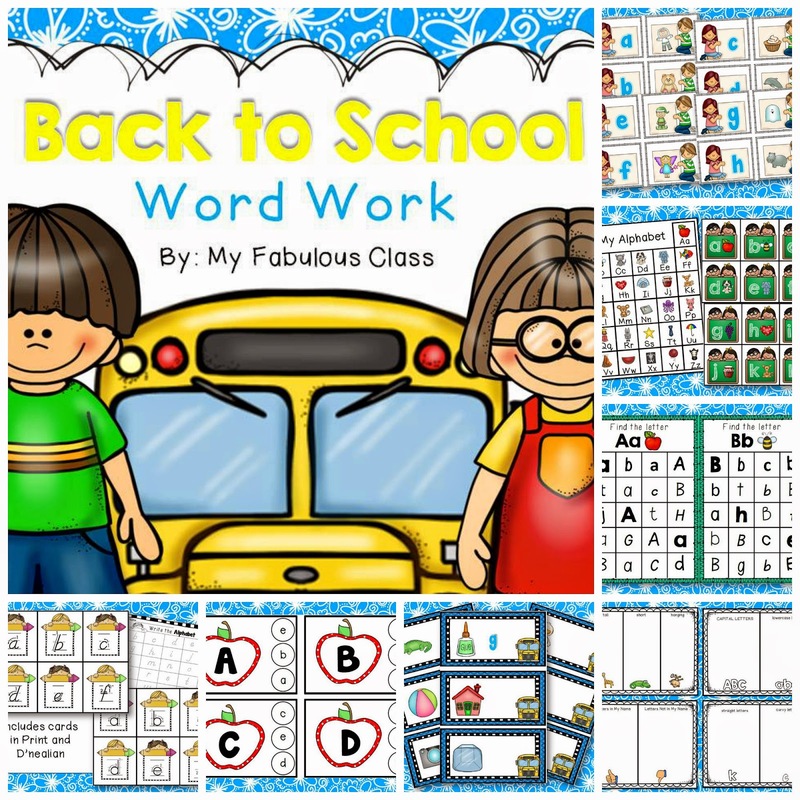 Click HERE to go straight to My Back to School products. 500 Follower FREEBIE and GIVEAWAY!